Amie came up this weekend and we celebrated my birthday with the kids, did some shopping and went to the movies. Tara made this crazy amazing White Chocolate Truffle Cake, and they had flowers for me & a gift card to Lowes!! Miss Amie bought me a DeWalt Orbital Sander (yes, I asked for this)!!! 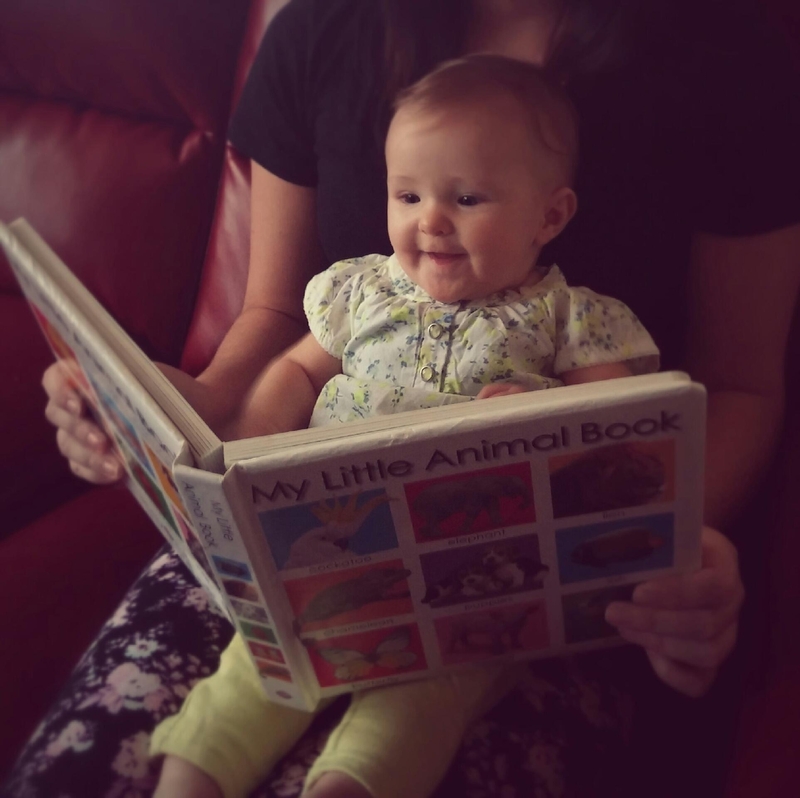 I had to share this picture of our little Belle – she loves her animal book!!! A wonderful birthday weekend with family! Happy Birthday to my Favorite Friend! Sounds like a nice family weekend. I can’t take how beautiful little Miss Belle is! And yes I will take a slice of that cake!